I am taking a bit of a vacation this week, which is why you haven’t seen very many posts! I’ll be back to full-time blogging next week. I did want to share a very important date with you though, so I scheduled this post ahead of time! 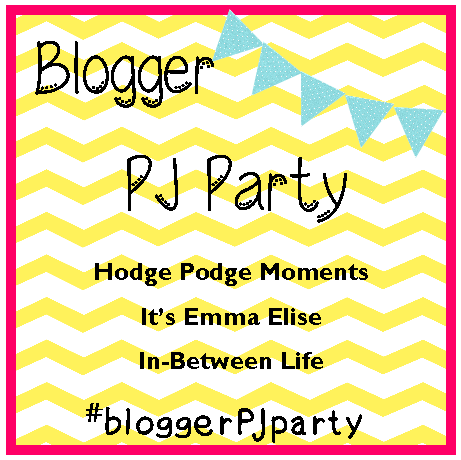 It’s time to announce the July #bloggerPJparty! This month, I have Emma from It’s Emma Elise and Valerie from In-Between Life helping me out! It promises to be a great party, complete with a few new surprises (more details coming)! I guess you do want an actual day and time. We’ll be hosting this month’s #bloggerPJparty on July 20th at 8pm. We’ll be hosting on Twitter again! So, if you don’t already follow me, you might want to hop on over and do so! What time zone? I feel like the past parties were two hours off from me, but I can't remember exactly. I think I'll be tweeting from work like last time, hahah!